Danielle has become the youngest Level 2 coach in the country, recently after qualifying on her 18th birthday. Surrey Cricket Foundation recently published the following article highlighting Danielle’s great achievement. Danielle undertook the Level 2 course along with 11 colleagues from Rowledge CC aged 17 and completed all elements of the course well before her birthday. However, due to the nature of the qualification she had to wait until her 18th birthday to formally qualify as a coach, which finally happened last weekend. Danielle began her cricketing journey as a 10 year old at Rowledge Cricket Club. 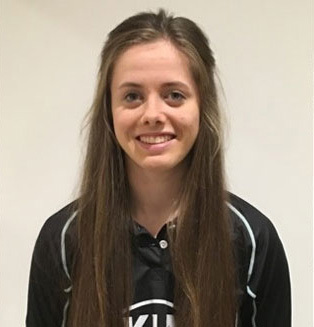 At 13 she was selected for the Surrey County Girls Squad and has played through the age groups before recently becoming a member of the Surrey Ladies squad. Coaching runs in the family and since qualifying she has been assisting her father Neil who coaches on Surrey’s Pride of Lions coaching programme, gaining valuable voluntary experience ahead of gaining her qualification. Her brother Ryan is also a Level 2 coach who assists on the Pride of Lions programme around his university studies.